Tried every key combination available on net but still no luck? Then you are on the right place now. 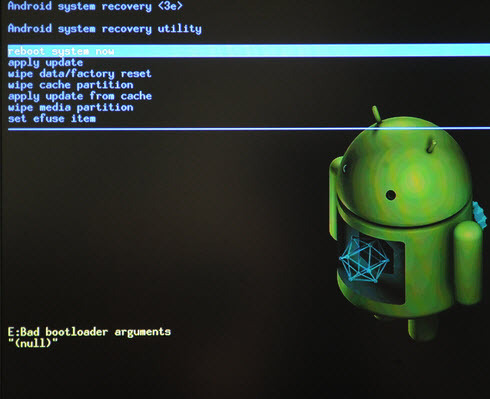 Yes, you do not need to find key combination to boot into recovery mode for your android handset. 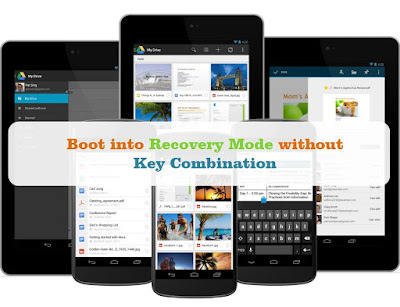 Here we going to show you an easiest way to enter recovery mode on any android powered smartphone or tablet. In this method, you just need to install a small free app on your android device. 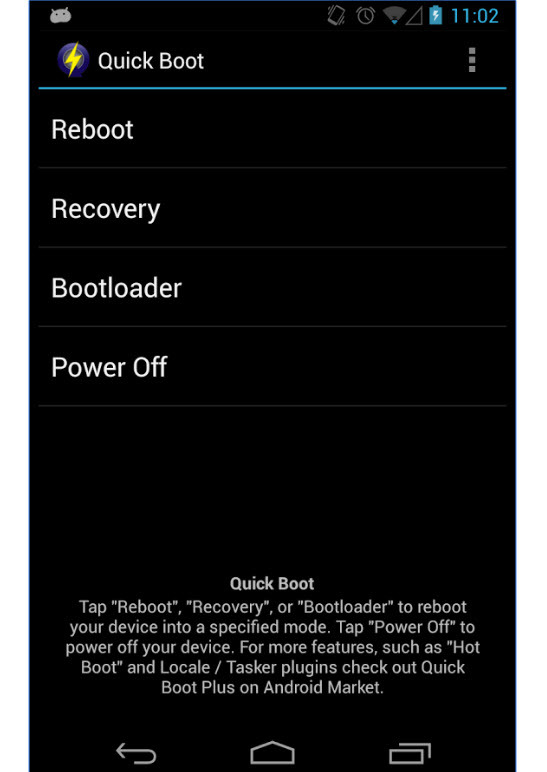 And with the help of the app, quickly you can boot into recovery mode without need to press and hold any key combination. But before that, I hope you well known about what is recovery mode or may be custom recovery and what you can do after entering recovery mode. If you don't know, recovery mode is an advance device customization place which is available on any android device by default. For more technical, the recovery is an independent lightweight runtime environment which is by default added to all android devices on a separate partition in the main Android OS. 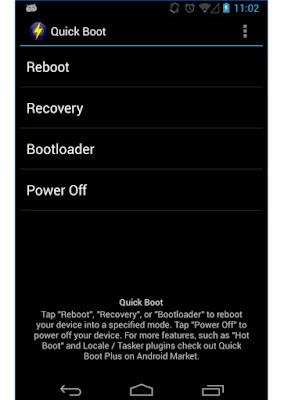 Before moving to boot into recovery mode, you should think a while to confirm that you really need to boot to recover mode? If you are 100 percent sure what you are going to do then you should go for any advance system task. Some of the recovery options includes wiping data, so you need to be careful while applying those settings. We already mention that you have to install an app to complete this method. So, your device should have internet connection or you can manually download the apk file and transfer into your phone. One more thing is, this app requires root permission. So your device should be rooted and give root permission when ask for. Now follow the steps below to get the app and enter to recovery mode using the app. 1) Open Google Play Store and search for Quick Boot app. 2) Install the app and give root access to SuperSU when asked for. 4) You need to tap on the Recovery option. And your device will be boot into Recovery without pressing any key combination. You are done. That is all to boot into recovery mode without key combination. Hope you find the tutorial very easy and helpful. If you like the guide then share on your social profile. If you have any question related to recovery mode, you can always mention in the comment section. Or you can contact us any time using our contact form.